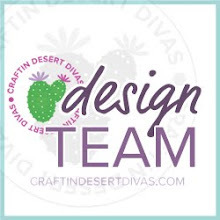 Craftin Desert Divas Blog: Bee Happy! 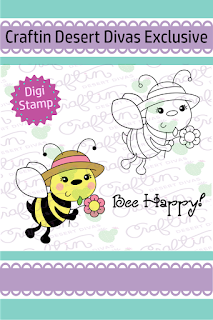 Tasha here sharing a new easel card created with the super fun Bee Happy and Honeycomb digital stamp sets! 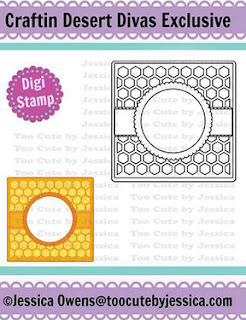 The card base was created with red cardstock and I colored the honeycomb with multiple shades of yellow. 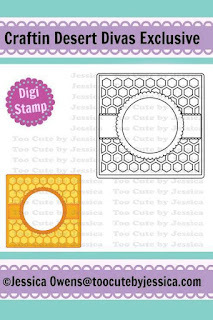 For texture, I used Glossy Accents to give a honey look and tiny red enamel dots around the scalloped frame; so pretty! 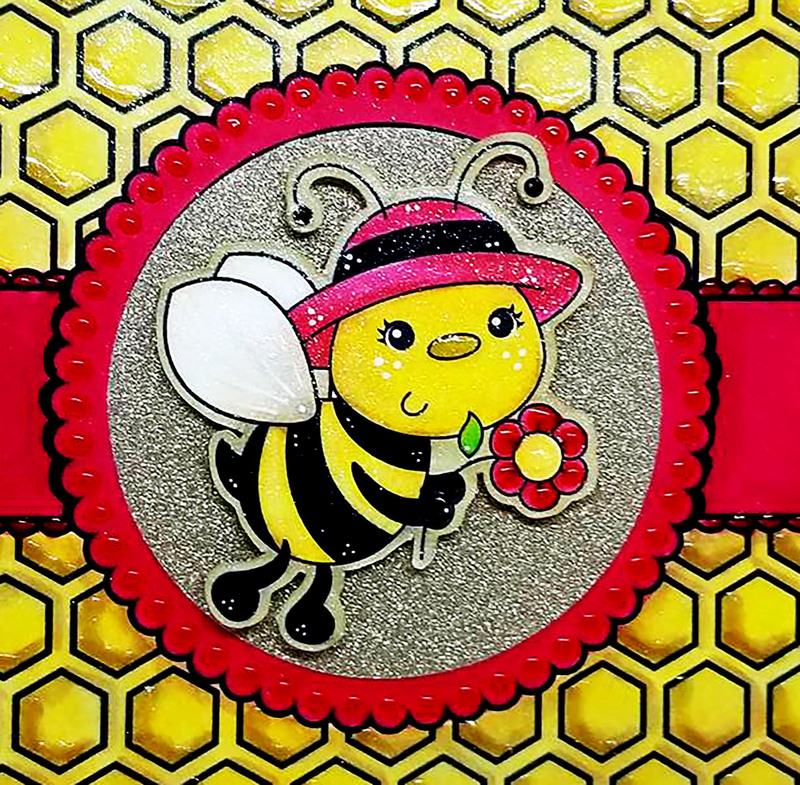 Next, the super cute bee image was colored with markers and accented with white gel pen. 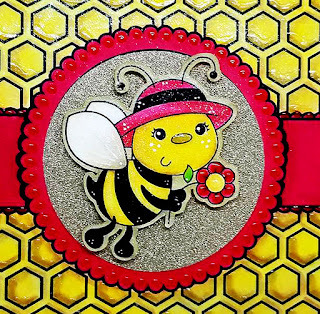 I layered it on to gold glitter paper with foam tape and colored the white border around the bee with gold markers to blend in with the glittery background. 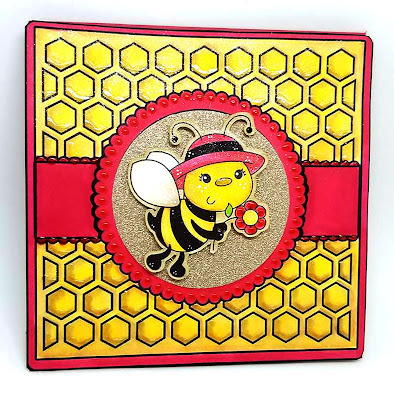 When the easel card flips open, you see the "Bee Happy!" sentiment. To keep the card standing up, an edge was created with matching red, black, and gold glitter paper. Lastly, I added yellow distress ink around the sentiment and four glitter enamel dots complete the design. 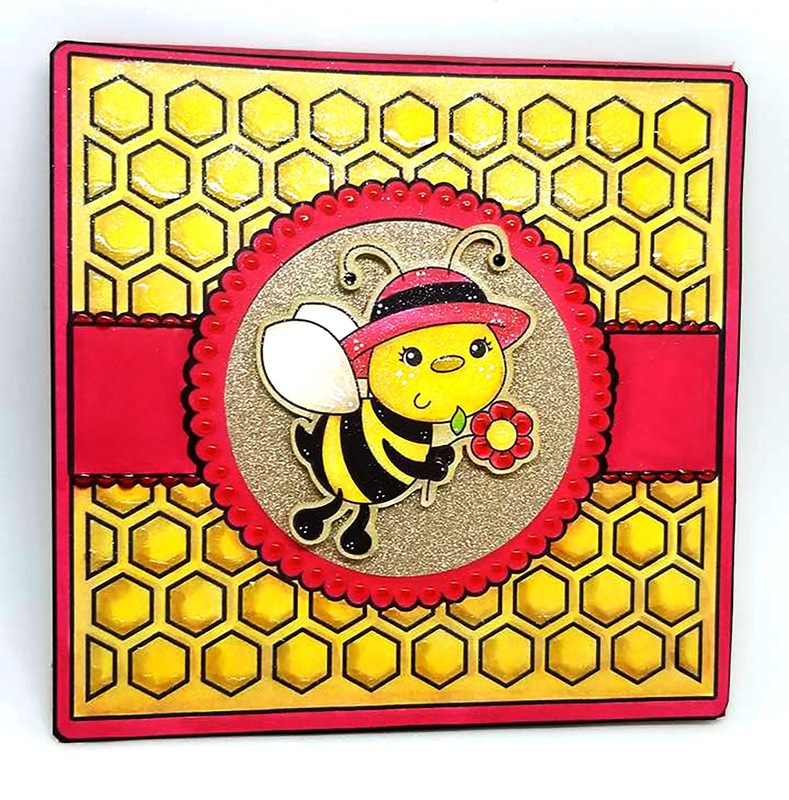 Thanks for stopping by and taking a peek at this fun easel card. 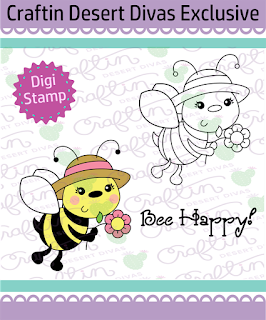 I hope you are inspired to create with the Bee Happy and Honeycomb digital stamp sets! 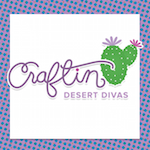 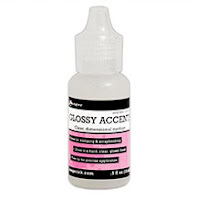 Click HERE to visit the Craftin Desert Divas Shop! 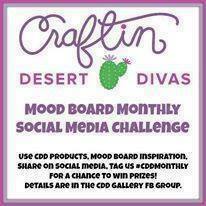 Click HERE to check out the August Mood Board Monthly Social Media Challenge! 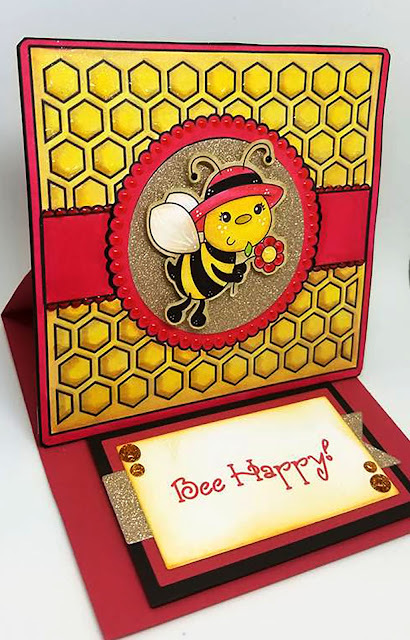 This BEE likes the Bee theme card creation.